Get your new ICT50515 Diploma of Database Design and Development RTO materials package from a leading Australian training resource publisher! This RTO resources package has been developed by subject matter experts, validated by industry experts, and put through a comprehensive quality control and compliance assurance process. This extensive development process is intended to make sure you receive an amazing set of RTO training materials written to meet all the ICT50515 Diploma of Database Design and Development training package requirements. Student Assessment Workbooks – the assessment tasks for your students to complete and submit for assessment. 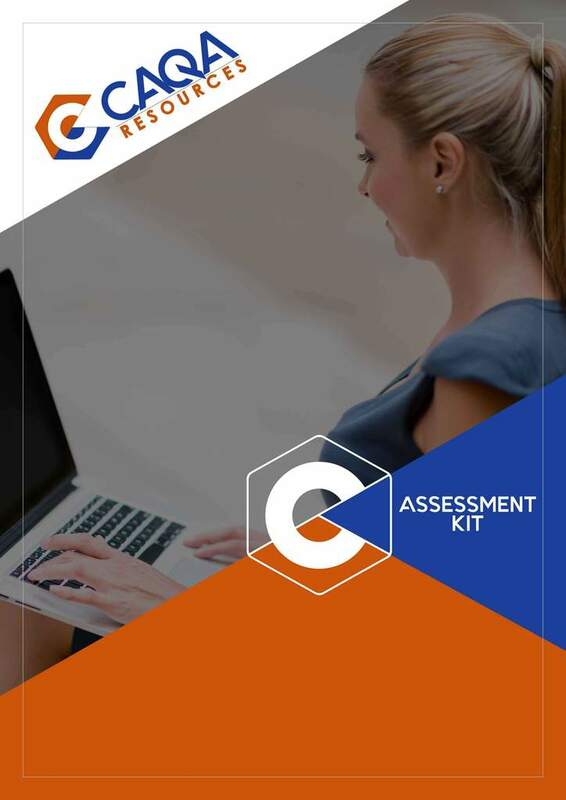 Trainer Assessor Assessment Pack – benchmark answers for your assessors to mark against, including evidence criteria used to judge the quality of the submission, so you trainers have clear rules for judgements of competence. Mapping Document – mapping of each task against all the unit of competency/training package requirements. Self-Study Guides – support your learners to develop foundational knowledge and understanding of the unit requirements. Class Activity Books – support your learners to develop foundational knowledge and understanding of the unit requirements and supports trainers to deliver engaging and effective classroom or webinar training. PowerPoint Presentations – designed around delivery sessions and including pictures, topic headings and key content notes for each topic. 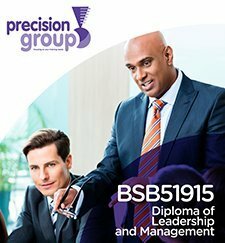 Session Plans – to support your trainers to deliver this qualification in the classroom in an effective, engaging and compliant manner. These training and assessment materials have been designed to be ready-to-use, easy-to-customise and easy to understand for your trainers and students. The assessment tools have been written to meet the requirements of the Standards for Registered Training Organisations (RTOs) 2015, including principles of assessment and rules of evidence. Using language appropriate to the learner level, these RTO materials will equip your training organisation to be able to deliver skilled graduates from your ICT50515 course, who are ready to do the job from day one. Contact Compliant Learning Resources now to get more information, samples and pricing for this amazing package of ICT50515 Diploma of Database Design and Development RTO training materials! This RTO training resources package is currently available for Pre-Order Only. Please get in touch to find out the scheduled completion date and pre-order your training resources package now to get immediate access to the materials once they are completed! Get a quality set of educational materials for your Diploma of Database Design and Development qualification! Your training materials are fundamental to the quality of your quality of training and assessment and critical to your RTO’s term compliance. Investing in high-quality RTO materials designed by industry experts and written to meet the training package requirements in maintaining compliance with the ever-increasing quality and compliance requirements for Australian Registered Training Organisations. Learner Assessment Workbooks – the assessment tasks for your students to complete and submit for assessment. Every resource from the CAQA catalogue, including the Diploma of Database Design and Development package, benefits from a detailed and robust development process so you get great training resources. Recruitment of subject matter experts to ensure the content is workplace relevant, correct and current to industry needs. Development of a detailed project plan clear structure for how the requirements of the units and qualification will be addressed, incorporating industry feedback on assessment methods and the course content. Consultation throughout development with industry experts, VET experts, and trainers and assessors – ensures assessment tools are current and relevant to the industry, and all assessments are conducted in a way that is fair, flexible, valid and reliable. The learner resources are validated, and quality checked by a team of experienced, VET-industry expert professionals. This includes many ISO9001 certified lead auditors with extensive VET-industry experience who have worked with industry regulators including ASQA. Your assessment tools kit for the Diploma of Database Design and Development qualification has been developed by subject matter experts, validated by industry experts and reviewed by compliance experts for quality and compliance assurance. This assessment tool package is written to meet all training package and compliance requirements for the Diploma of Database Design and Development, including the principles of assessment and rules of evidence. Detailed benchmark answers and evidence criteria. Ready to use, easy to understand, simple to customise format. Content accurate and relevant to current workplace requirements. Language appropriate to vocational education and training sector. These assessment materials are written to meet the requirements of the Standards for Registered Training Organisations (RTOs) 2015 and designed to help your RTO deliver skilled graduates to industry that are ready to “do the job” from day one. These self-study guides are an excellent tool to support your learners to prepare for summative assessment. These Class Activity Books are a tool support for your learners to develop greater understanding and knowledge of the unit. 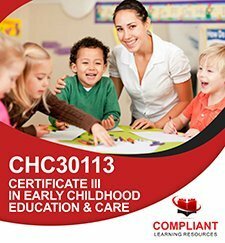 This will assist your trainers to deliver effective and engaging classroom or webinar training using these course materials while meeting compliance standards. You will receive a PowerPoint for each unit of competency that will assist you to deliver your Diploma of Database Design and Development course to your students. Each PowerPoint covers a unit of competency and has been designed around delivery sessions, with topic headings and key content relating to each topic. These PowerPoints have also been mapped to the training package requirements, so you can demonstrate that this has been covered in your training delivery. A mapping document is supplied with the PowerPoint, so you can demonstrate this for compliance if required. The ICT50515 package does include session plans to support your trainers to deliver an effective, engaging and compliant course in the classroom. You can also customise these session plans and adjust them to different contexts and delivery modes you want to offer. Your new ICT50515 RTO Training Materials are provided with an unlimited student license for just a one-off upfront investment in training and assessment materials! This means once you receive your Diploma of Database Design and Development materials, you are free to deliver and assess training to as many students as you want within your RTO with no ongoing fees or resource costs! This unlimited student license also applies to all RTO materials included with this package including Session Plans, PowerPoints, Class Activity Books and Self-Study Guides meaning you get these training resources in digital format so you can easily distribute to your students online or in the classroom. Your package of educational resources for the Diploma of Database Design and Development course will be delivered in digital format, and you will have permission to brand, customise and adapt the materials to suit your needs and the needs of your student cohort. 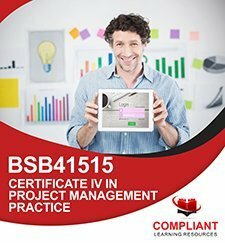 These ICT50515 training and assessment resources are developed by Subject Matter Experts and validated by industry experts to ensure your course content is update-to-date, relevant to industry, and uses language appropriate for your learners meaning you can deliver skilled graduates who are ready to do the job from day one. This RTO resources package is supported by additional workplace resources including templates, policies, procedures and more to ensure assessments are consistent and are based on the Principles of Assessment and the Rules of Evidence. Please note that not all assessments may be simulated; some units may include specific requirements to demonstrate competencies in a real workplace environment. As with all RTO training resources you purchase or develop, it is important to validate and contextualise the RTO materials to ensure they align with your proposed training and assessment strategies. Your ICT50515 includes a mapping document that shows how your new training materials map to all the training package requirements. This document is critical for your RTO’s compliance activities, allowing you to conduct validation and is an essential reference tool to help you demonstrate compliance at audit using these RTO training resources. Please enquire now using the form to receive a free info pack with more information and samples of the ICT50515 Diploma of Database Design and Development RTO materials. The ICT50515 RTO materials package from CAQA Resources includes 20 units of competency. Please enquire now for a full list of available units for this RTO training resources package. Materials provided in unlocked digital format (MS Word, Excel, PowerPoint and other file formats as appropriate). You may modify and contextualise the materials for your compliance. No resale or distribution of the documents to other entities. A signed license agreement accepting these conditions is required before delivery of the training and assessment resources. Compliant Learning Resources will provide you with a copy of the license agreement acknoweldging these conditions to sign and return prior to delivery of your RTO materials. CAQA Resources guarantees that if for some reason an ASQA (or other official state regulatory body) audit does reveal a skill or knowledge gap in their assessment tools resulting in a non-compliant outcome for your RTO, CAQA Resources will assist with rectifications to the materials free of charge. Please note, we require a minimum of 15 business days notice to resource and complete updates to assessment tools. If you need an assistance during the audit related to the product provided by CAQA, call 1800 266 160 or email [email protected] In most cases, a CAQA consultant will be able to help you explain how these RTO resources are used and demonstrate compliance. This guarantee applies only to audits conducted by an official registering body. CAQA Resources cannot guarantee assessment tools that have been modified from their original format, as any changes may affect the overall design and integrity of the materials. To claim the guarantee, you must submit the audit report to CAQA Resources as proof of the finding of non-compliance of that tool. Requests made without the official audit report will not qualify for the post-audit rectification assistance guarantee. Please submit your request to claim the audit guarantee as soon as possible after receiving your audit report to allow CAQA Resources sufficient time to complete rectifications. Note: From 1st July 2018, in certain audit, ASQA will no longer provide an opportunity for rectification if non-compliance is identified in the audit. CAQA cannot offer the audit rectification assistance guarantee in a situation where there is no rectification opportunity after the audit. This affects initial RTO registrations and may affect other types of regulatory audits. This ICT50515 Diploma of Database Design and Development RTO training and assessment resources package was developed by CAQA Resources. CAQA is an RTO consultancy and RTO training materials publisher based in Melbourne, Victoria. They specialise in creating quality RTO training resources for many popular vocational qualifications and training packages. Compliant Learning Resources is proud to partner with CAQA to assist with marketing and distribution of their quality RTO training resources to RTOs and training organisations Australia-wide.